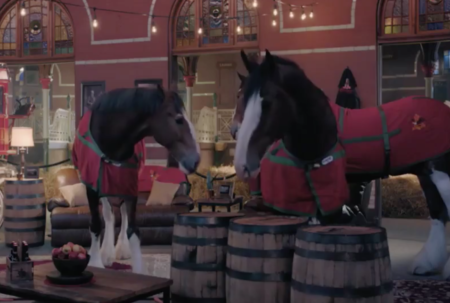 The Budweiser Clydesdales had their own Super Bowl party. 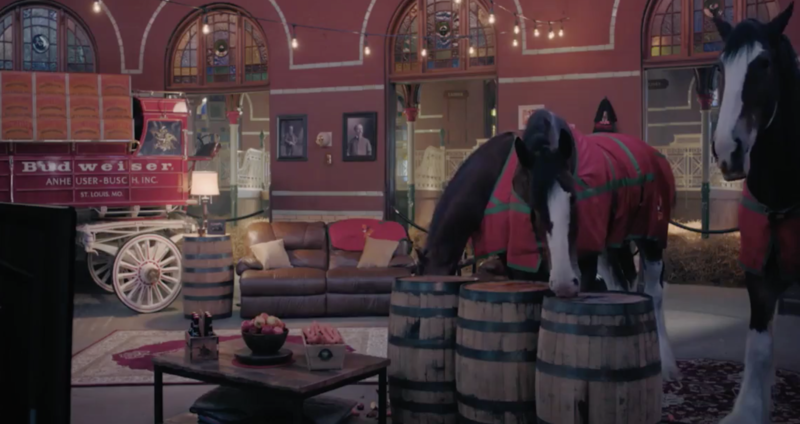 Just what you’ve always wanted: an insider’s look at what the Budweiser Clydesdales are up to during the Super Bowl. If you tune into Budweiser’s Facebook page tonight, you’ll get to see the horses having their own viewing party in their stables, complete with snacks. Over 16,000 people were concurrently watching the stream even before the official Budweiser ad aired in the second quarter; when the stream was mentioned live during the game, that number spiked to more than 28,000. Catch a behind-the-scenes look at the Clydedales during their Super Bowl party. Budweiser wasn’t the only brand to use Facebook’s Live feature during the game, though most brands used Twitter for their commentary. Hidden Valley, the salad dressing brand known for its ads filled with ranch-flavored utopias, livestreamed a huge fountain of ranch dressing. 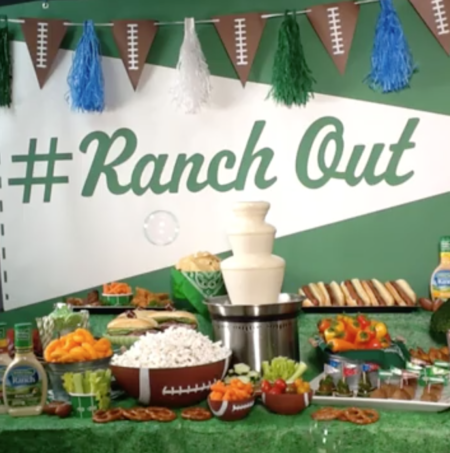 Dip any of your Super Bowl parties feature a ranch fountain? 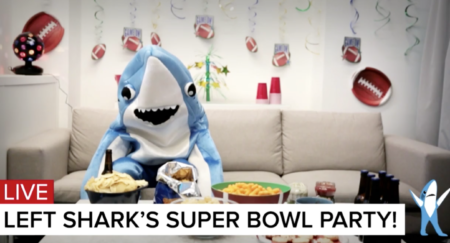 Of course, for football fans who miss the 2015 Super Bowl, BuzzFeed hosted a viewing party starring the infamous Left Shark and all their snacks, which was live during the second quarter/halftime show. Who will join Left Shark's Super Bowl party?